When you’re constantly receiving calls or emails from phone companies, charities or even from the local gym, it’s not easy to get them to stop. Although Spain takes its Data Protection Law seriously, fines for big companies tend to be the exception, so it’s up to you to take action. There isn’t a 100% guaranteed way to stop nuisance callers. However take a couple of minutes to follow our guide below and companies may think twice before calling you in the middle of your favourite TV programme again. Lista Robinson is a free service, set up in accordance with the Spanish Data Protection Law. Their service helps to get your details removed from companies’ mailing and phone lists, but only if you haven’t already got some type of commercial relationship. Under 14’s – one of the parents must register. You need to fill in a short form to register. The second surname field is mandatory, if you don’t have one we suggest you use a full stop or other symbol/letter in order to be able to click on send. When you receive an email with your password, confirm your registration. 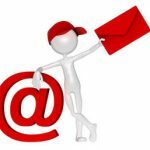 By post – need to fill in your home address (you also have the possibility to include additional addresses). 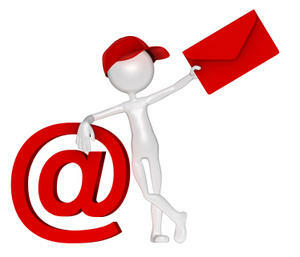 Email – up to three email addresses. Phone – up to three landlines and three mobile numbers. How Effective Is The Robinson List? Once on the Robinson List, you have to wait up to 3 months for it to become effective. Companies won’t be checking daily for new inclusions. Spanish law states that any company that carries out marketing campaigns must consult these lists first. 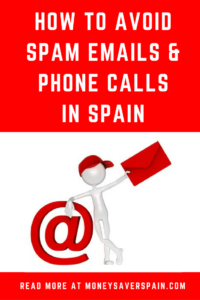 If you find that companies are still contacting you after some months, then you have the right to file a formal complaint with the Spanish Data Protection Agency. Current or Previous Company Client? When you sign-up with a service provider, unless you specifically opt out you’ve normally also signed-up for their offers and promos information service. Sometimes finding the opt out option can be difficult. But if they start to phone or email you too often with offers, you can inform the company directly that you don’t want to continue to receive any information. It’s probably better to do this by email rather than by phone. Go to the company website and look for the Customer Service tab and fill in their email contact form. Include your personal details, contract number and specify the means by which you don’t want to receive information (phone, email, SMS). Remember that the Robinson List isn’t valid for companies you have a contract with as you already agreed to pass on your personal contact data. Keep copies of all your email communications. These are the only proof that you have requested to be removed from contact lists. Don’t pay for any service that promises to remove you from a company’s phone or mailing lists. If you want to avoid getting on a companies phone lists by not appearing in the public phone directory (white pages), this will only be effective when the next one is published. In the meantime your data will still be available.